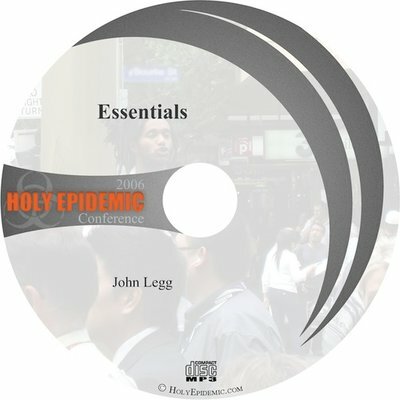 This download contains all sessions from the 2006 Holy Epidemic Conference in MP3 format. Seven fully loaded messages that will get you equipped in biblical street evangelism. From what to say, to how to say it. Using the scriptures as our guide and compass to rightly proclaim the gospel. These MP3s deal with both the theory and the practical of street evangelism. You will throughly enjoy these teachings while being stretched out of your comfort zone. These teachings should be in every churches library and every christian’s home. A must see for all those serious about street evangelism. Not at all to be perceived as a defense of Street Evangelism or Open Air Preaching, but rather just stating the Case. Learn the Biblical and Historical case for street evangelism. Is it still relevant for todays culture? This list of characteristics are things that every street evangelist should have or at least be striving towards. These are essential for ensuring we have a right attitude and motive for street evangelism. What is the message we need to be proclaiming? What must be included in a gospel presentation? Does the bible give us clear guide lines for crafting our message? Continued… What is Repentance and is it essential for salvation. What does it mean biblically to believe or trust in Jesus Christ. When should we share God’s love and talk about Heaven? All these answers plus more are dealt with in these two sessions. O.K so we know what we must preach, but how do we put it into practice? These two sessions will help you to put everything into action. Also how to deal with the Police and Legal issues. You will learn easy techniques for improving your voice projection. Developing your own style of witnessing. Letting your personality shine through. Continued… Learn what resources you can use when out on the street and how to use them. These sessions are packed to the brim with useful information to implement when out on the street. Learn how to build and maintain a street evangelism team BIBLICALLY. Using principles in the bible to ensure that God is alway at the center of our teams, and learn how to grow and manage a team.